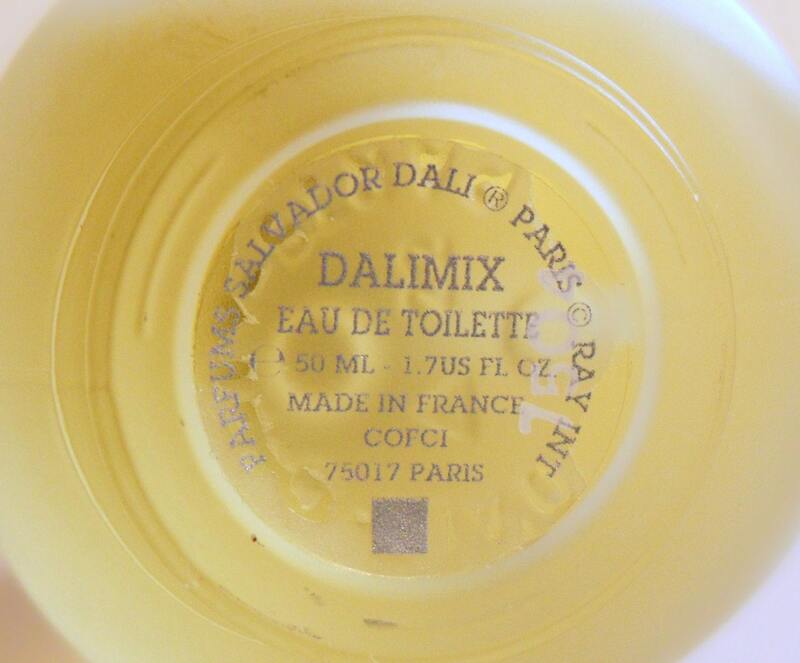 Vintage 1990s Dalimix by Salvador Dali 1.7 oz Eau de Toilette Spray & Box. The bottle is full - see photo. The perfume is old and no longer fresh. I just tested it and it seems that some of the notes have turned. I am not familiar with this fragrance so I am unsure if this is the way it is supposed to smell. The fragrance has a sour and bitter top note of blackcurrant and grapefruit layered over an aromatic herbal and citrus fusion. Launched in 1996, Dalimix by Salvador Dali is classified as a citrus fragrance for women and men. The metal can has some small dents here and there.